Sometimes consistent arm curl exercises isn’t enough to tighten the upper arms. Those who have lost a significant amount of weight are commonly left with excess, flabby skin (“bat wings”), which can be bothersome and embarrassing. Upper arm lift surgery (“brachioplasty”) can provide a more youthful, toned appearance with the removal of excess skin and fat deposits. 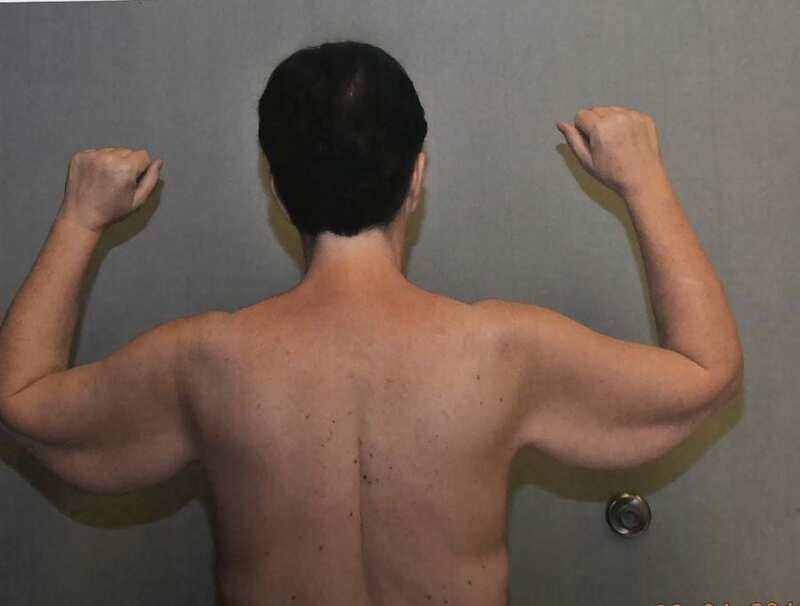 Ideal candidates for brachioplasty should be non-smokers in good health, of relatively normal and stable weight, and have already attempted the natural methods of weight loss. Those who have undergone bariatric weight loss procedures are also good candidates. The procedure is usually performed with the patient under general anesthesia or intravenous sedation. For the upper arm lift procedure, an incision is made from the underarm area to the elbow. In some cases, if the surplus of skin is mainly in the upper half of the upper arm, the incision can be in the underarm area; this avoids potential scarring along the inner parts of the upper arm. Drains are sometimes placed and if so, removed a day or two after surgery. After surgery, the upper arms are sometimes either wrapped in an elastic bandage or compression garment to help minimize swelling. An upper arm lift is often combined with liposuction, which in some cases, produces a more contoured upper arm. This is a good option for patients who have very little excess fat in the upper arm, with no hanging skin. For some patients, a nice improvement in the upper arm contour can be accomplished with liposuction alone. Like all surgical procedures, there is always a possibility of risks or side effects. Although rare, potential complications include: infection, a reaction to anesthesia, blood or fluid collection, nerve damage, or an irregular or unequal appearance of the arms after the operation. You may be instructed to keep your arms elevated for a few days after surgery. Over the next few weeks, you should be able to slowly return to normal functioning. How much does upper arm lift cost? The cost varies depending on the type of treatment you choose, the extent of the treatment, and other factors including anesthesia cost, cost of the surgical facility, and the cost of any medical tests and prescriptions you may need. 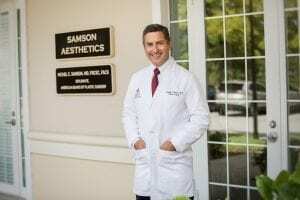 Dr. Samson can give you an accurate cost estimate for your specific needs during a one-on-one consultation. 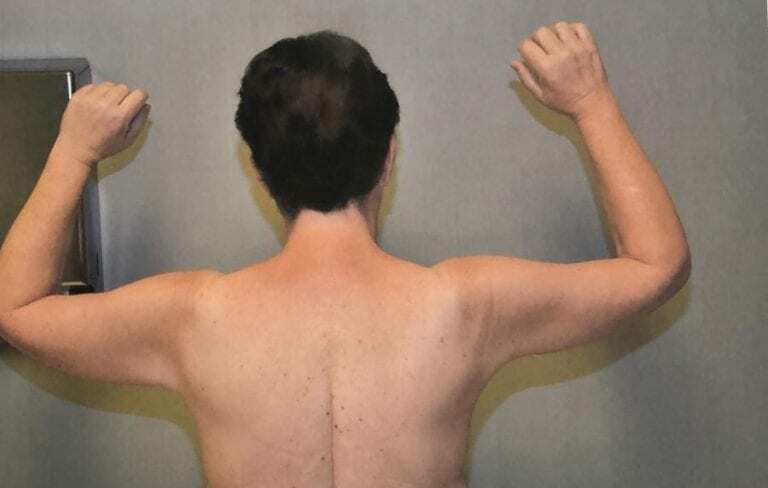 Before a consultation for arm lift in Florida, you should have specific goals in mind for body contouring. To get an idea of the results you can achieve with arm lifts, view Dr. Samson’s arm lift before and after photos. If you are interested in these or other cosmetic surgeries in the Daytona Beach, FL area, schedule a consultation by calling 386-756-9400 or fill out our contact form.